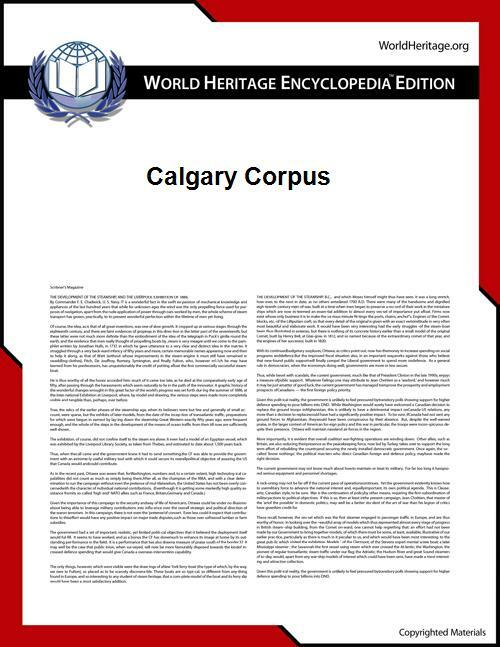 The Calgary corpus is a collection of text and binary data files, commonly used for comparing data compression algorithms. It was created by Ian Witten, Tim Bell and John Cleary from the University of Calgary in 1987 and was commonly used in the 1990s. In 1997 it was replaced by the Canterbury corpus, based on concerns about how representative the Calgary corpus was, but the Calgary corpus still exists for comparison and is still useful for its originally intended purpose. In its most commonly used form, the corpus consists of 14 files totaling 3,141,622 bytes as follows. 111,261 BIB ASCII text in UNIX "refer" format – 725 bibliographic references. 768,771 BOOK1 unformatted ASCII text – Thomas Hardy: Far from the Madding Crowd. 610,856 BOOK2 ASCII text in UNIX "troff" format – Witten: Principles of Computer Speech. 102,400 GEO 32 bit numbers in IBM floating point format – seismic data. 377,109 NEWS ASCII text – USENET batch file on a variety of topics. 21,504 OBJ1 VAX executable program – compilation of PROGP. 246,814 OBJ2 Macintosh executable program – "Knowledge Support System". 53,161 PAPER1 UNIX "troff" format – Witten, Neal, Cleary: Arithmetic Coding for Data Compression. 82,199 PAPER2 UNIX "troff" format – Witten: Computer (in)security. 513,216 PIC 1728 x 2376 bitmap image (MSB first): text in French and line diagrams. 39,611 PROGC Source code in C – UNIX compress v4.0. 71,646 PROGL Source code in Lisp – system software. 49,379 PROGP Source code in Pascal – program to evaluate PPM compression. 93,695 TRANS ASCII and control characters – transcript of a terminal session. There is also a less commonly used 18 file version which include 4 additional text files in UNIX "troff" format, PAPER3 through PAPER6. The Calgary corpus was a commonly used benchmark for data compression in the 1990s. Results were most commonly listed in bits per byte (bpb) for each file and then summarized by averaging. More recently, it has been common to just add the compressed sizes of all of the files. This is called a weighted average because it is equivalent to weighting the compression ratios by the original file sizes. The UCLC benchmark by Johan de Bock uses this method. For some data compressors it is possible to compress the corpus smaller by combining the inputs into an uncompressed archive (such as a tar file) before compression because of mutual information between the text files. In other cases, the compression is worse because the compressor handles nonuniform statistics poorly. This method was used in a benchmark in the online book Data Compression Explained by Matt Mahoney. The table below shows the compressed sizes of the 14 file Calgary corpus using both methods for some popular compression programs. Options, when used, select best compression. For a more complete list, see the above benchmarks. The "Calgary corpus Compression and SHA-1 crack Challenge" is a contest started by Leonid A. Broukhis on May 21, 1996 to compress the 14 file version of the Calgary corpus. The contest offers a small cash prize which has varied over time. Currently the prize is US $1 per 111 byte improvement over the previous result. According to the rules of the contest, an entry must consist of both the compressed data and the decompression program packed into one of several standard archive formats. Time and memory limits, archive formats, and decompression languages have been relaxed over time. Currently the program must run within 24 hours on a 2000 MIPS machine under Windows or Linux and use less than 800 MB memory. An SHA-1 challenge was later added. It allows the decompression program to output files different from the Calgary corpus as long as they hash to the same values as the original files. So far, that part of the challenge has not been met. The first entry received was 759,881 bytes in September, 1997 by Malcolm Taylor, author of RK and WinRK. The most recent entry was 580,170 bytes by Alexander Ratushnyak on July 2, 2010. The entry consists of a compressed file of size 572,465 bytes and a decompression program written in C++ and compressed to 7700 bytes as a PPMd var. I archive, plus 5 bytes for the compressed file name and size. The history is as follows. Since 2004, all submissions are variants of PAQ and submitted as source code licensed under GPL. ^ Ian H. Witten, Alistair Moffat, Timothy C. Bell (1999). Managing Gigabytes: Compressing and Indexing Documents and Images. Morgan Kaufmann. p. 92. ^ Salomon, David (2007). Data Compression: The Complete Reference (Fourth ed.). Springer. p. 12.